In this article, the authors analyze the intertwined problems of judgment and explanation through a comprehensive study of judicial override opinions. Of the 33 states that employ capital punishment, three-Alabama, Delaware, and Florida-are unusual in that the final decision on the death sentence is made by the trial judge after a sentence recommendation from the jury (rather than ultimately by the jury, as in all other death penalty states). Although capital statutes in these states have passed constitutional muster, they remain controversial because in approximately 220 cases trial judges have overridden jury recommendations for life and sentenced defendants to death. These states require the judge to write a sentencing opinion explaining his or her findings on aggravation and mitigation. Unlike any other arena in the legal landscape of America’s death penalty, judge-overridden death sentences require something close to an explanation of the judgment. 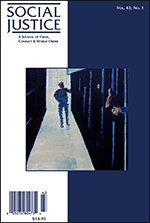 This study analyzes the total population of these opinions to study the problems of judgment and explanation by tracing the metaphysical, moral, and ideological aspects of what judges say when sentencing persons to death.